This is one of those more of a technique than a recipe. We have friends coming over for a last minute BBQ. Jan decided to make this as a Fourth of July dessert. 1. Put scoops of ice cream into individual bowls. 2. 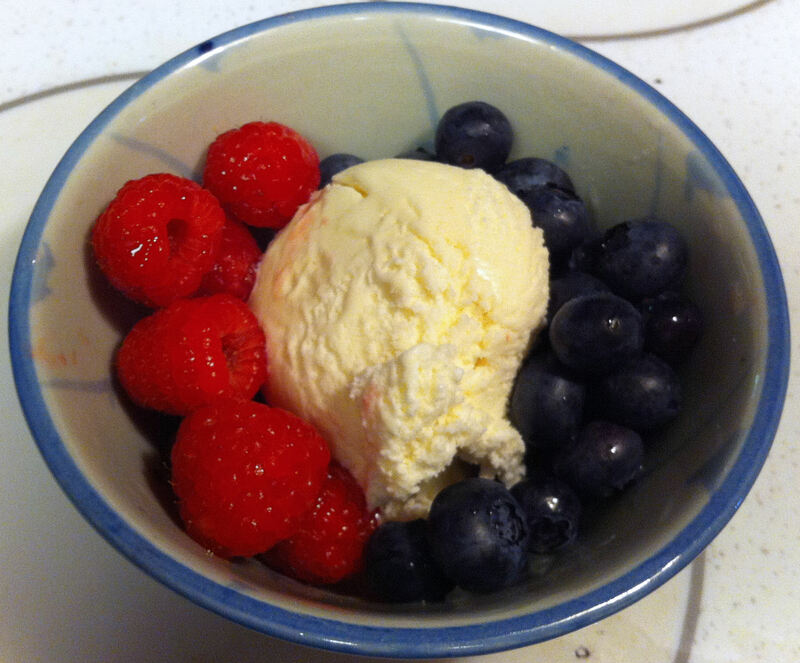 Put some raspberries along the left side of the bowl. 3. Put some blueberries along the right side of the bowl. Tip: Make sure there is a strip of the white ice cream showing in the middle.